Four performances to choose from, November 23 - 25. Come and hear the Viva Youth Singers of Toronto performing this wonderful work by Benjamin Britten. Marion in the role of Mrs. Noye, along with her Gossips (friends), will mock Noah's project, preferring to drink than to help out or even to board the ark. The tuned teacup chorus of raindrops ought to be worth the price of admission alone! The Continuum Contemporary Music ensemble started off their 2012 season with a strong voice. Or at least a collection of strong voices that balanced out a program of music carving out a wide path of expressive territory. Each piece was exquisitely well rehearsed and presented in a manner that allowed the ears to hear all the way inside the music. Even as the subject material would switch from haunting beauty to complete madness. The second half of the concert consisted of the Martijn Voorvelt pieces, presented as a continuous work of musical theater. Continuum had spent the last week working directly with the composer to realize the drama Frederick's Doctor and their dedication to the macabre absurdity made for a flawless production of material that was often challenging and brittle. The setting of Doctor Morell Mackenzie's often graphic accounts of the botched diagnosis and surgery upon German emperor Frederick III's laryngeal cancer were occasionally a bit hard to take. Especially given Christopher Mayell's incredible dead-pan delivery. The sense of madness in his text could nearly be tasted in the back of my throat. As this gave way to Marion Newman's performance of a voice robbed of its ability to communicate, the balance of humor and despair was simply delicious. Having the flute player and mezzo-soprano delivering text in rhythmic unison was a particularly striking sonic effect. Especially as the performance transitioned to the vocalist lip-syncing to Anne Thompson whispering through her instrument. It was a brilliant set of pieces that won over my normal aversion to theatrics. To my ears, the most stunning work on the program was Linda C. Smith's Brush Line. An achingly beautiful work built out of luminous, horizontal strokes of warm sounds along a cold landscape of silence. The constant reference to colors in the text added to the sense of sound painting with their vibrato-less delivery. Cazone Triste is a virtuosic solo harp piece that gently gives way to song. Sanya Eng's voice eventually shifting into the foreground as she plays to reveal a beautiful sound. The simplicity of her voice balanced well against the confidence of her playing. The opening work, Music for Klein and Beuys by Christopher Butterfield, set the whimsical-yet-serious tone that anticipated the Martijn Voorvelt experience of the second half. The combination of bass recorder, melodica and banjitar with a percussion part the often consisted of tearing and wadding up newsprint never took on a sense of gimmick as the musical textures proved to be substantive. Written as a memorial to Yves Klein and Josef Beuys, it is a wonderfully unpretentious and warm piece of art music. Overall, there aren't enough superlatives to lavish upon an evening such as this. An inspired sequence of great pieces of music performed well. Continuum has set high expectations for the season that follows this concert. Gilbert and Sullivan still reign supreme. A voyage to ravish the senses in the best Savoyard Fashion. Marion sings Mignon I, II, III and Kennst du das Land? by Hugo Wolf, for the first year collaborative piano recital of Susan Black. The Enslavement and Liberation of Oksana G.
Marion will perform the role of the fortune teller in this workshop presentation of a developing opera. Colleen Murphy, Librettist and Aaron Gervais, Composer have been creating this exciting opera. Following a week of workshop with Tapestry New Opera, this will be a presentation of Act Two and the Finale. Marion sings the role of the Sorceress in this concert performance of Purcell's work with Toronto Masque Theatre, in the beautiful Sharon Temple. Carey West is making a jazz CD and Marion will be singing back-up vocals. 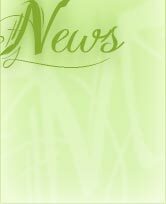 More information on release to come. Dustin Peters has been composing some new works, based on Kwakwala stories. Marion and Dustin will record some of these works to use for future grant and concert proposals. 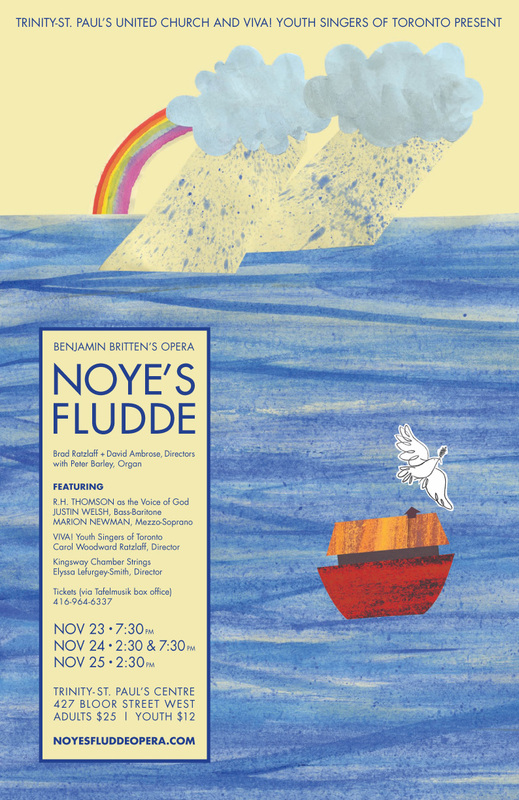 Marion will sing a selection from Noye's Fludde by Benjamin Britten for this concert. Marion sings the role of Katisha in the Concert Opera Group presentation of this much loved work by Gilbert and Sullivan. Many exciting up and coming voices to be heard!. Marion will perform Brush Lines by Linda C. Smith and Petit Air II / Friedrich's Tagebuch by Martijn Voorvelt in this concert of music from the Netherlands and Canada, with the very fine musicians of the Continuum Contemporary Music Ensemble. Marion will sing the role of Mrs. Noye in Benjamin Britten's opera, with the Viva Youth Singers of Toronto. Marion will join Ottawa's Thirteen Strings and Seventeen Voyces, with Kevin Mallon at the helm, to sing Vivaldi's Gloria. Marion sings the alto solos for this holiday favourite with the Cellar Singers, under the baton of Mitchell Pady. It is requested the Favour of the Ladies not to come with Hoops this Day to the Musick-Hall in Fishamble Street. The Gentlemen are desired to come without their swords. Such was the request on April 13th, 1742 for the performance of Mr. Handel's new Sacred Grand Oratorio, the Messiah. After considerable public reaction last year, Aradia is happy to repeat its reconstruction of this first performance. Please leave your swords at home! Susan Black will perform her graduation from the U of T collaborative piano program, with a little help from her friends. Marion and Susan will perform the Hermit Songs by Samuel Barber. Marion will premiere the role of The Concubine in a new opera called The Lesson of Da Ji by Librettist Marjorie Chan and Composer Alice Ping Yee Ho, with the Toronto Masque Theatre. This opera, composed by VIvaldi at the height of his career, has survived only in part. Caprice offers a reconstruction of this story of the famous Aztec emperor Montezuma. Ensemble Caprice and the Montreal Baroque Festival. Marion will sing the role of Mitrena.